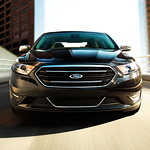 With great interior features included, such as a heated steering wheel, heated and cooled front seats, a refined color palette and other upgradeable features, makes this a front runner in the sedan market this year. If you want to truly customize your vehicle, you can upgrade to leather seats in gray or black. Heated seats in the rear are also available for added comfort.